When sending bulk email to people from South Africa the best scenario is, of course, to also have your sending servers hosted in South Africa. With years of testing, I got the best solution for all your e-marketing needs in South Africa. A system that will ensure best email deliverability and once setup is super easy to use. A Bulk Email System on your dedicated server or VPS in South Africa with complete freedom about what kind of content you send and who you send it to. We want this kind of service where we aren’t limited by rules and policies. Freedom all the way straight to potential future customers inbox. Of course, there is a lot of technical work that needs to be done and it needs to be done right to ensure perfect email deliverability. Let me show you how my bulk email system looks and then I will tell you why I choose setup/configuration like this. Before we start I have to tell you the difference between two different types of servers that are in my Bulk Email System hosted in South Africa. The Main Server is the server where your Email Marketing Software (EMS) is installed. Since we are getting ready to set up a bulk email server with an option to scale it up if needed I recommend you pick a bit more powerful VPS for it. Since I am not from South Africa my main server is with a hosting provider that is closer to me. MTA server is a server where PowerMTA is installed. These servers are doing all the sending. This is just one layer of protection to keep your MTA servers away from your Main server. In case there is ever a problem your main server will never be taken down since it's not doing any sending at all. MTA server can be any budget VPS with at least 1GB RAM. I am using cheap $2 servers for sending and currently have 32 in my network of sending servers. All are hosted with providers in South Africa. Get your Bulk Email Server in South Africa Online Today! 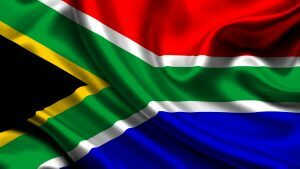 Follow my Bulk Email Server Guide and start sending for South Africa Today!